You can finish stroll through the city center the visit to this restaurant. Location ideal for diners on weekdays and who strolling idly on weekends. 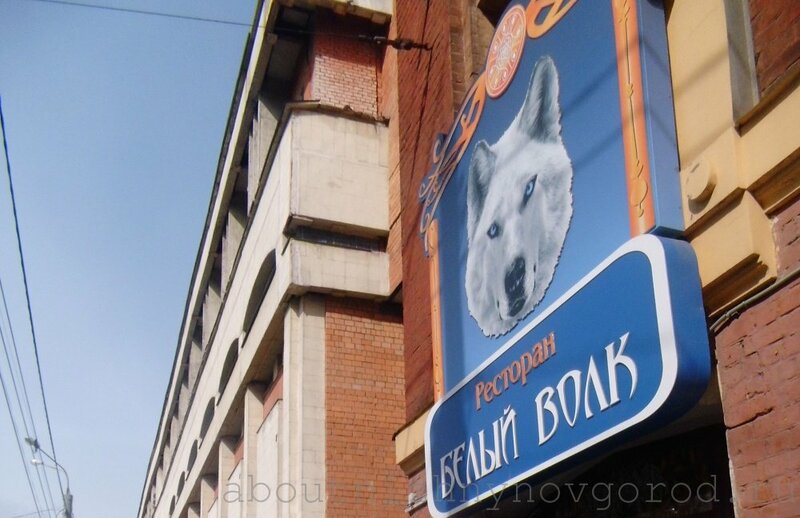 “White Wolf” is located exactly between the squares of Liberty (Svobody) and Minin in the building “Nizhpoligraf”. The premise is many times changed host – someone remembers him as a bookstore, someone like a restaurant “Citizen”. A place with history and atmosphere. Pleasant “expensive” interior. Beautiful, solid, high level. There are two halls: general – large and hunting – less. Name of the restaurant is reflected in the design theme and a menu with Nordic dishes. In the halls of the few people, not, just halls are empty. During all of our meals, only we were the visitors. The service is beyond praise – attentive, fast, friendly, so that you feel welcome and generally like a good person. A nice background music plays. 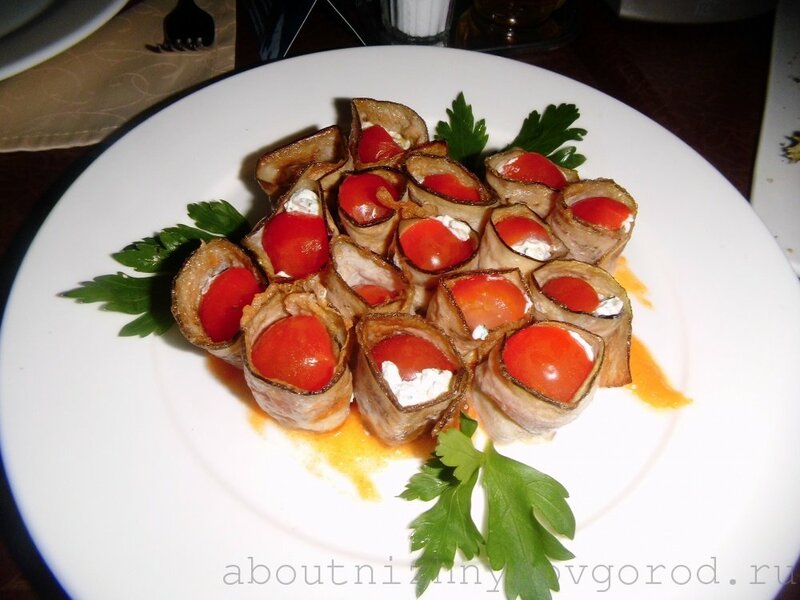 Salad of venison in the marble sauce. All the dishes, what we eaten, are very tasty, unusual. The waiters are ready to recommend, give explanations. Prices are average for restaurants. There are many shares – discount on weekdays, birthday, cocktail gift for ladies . 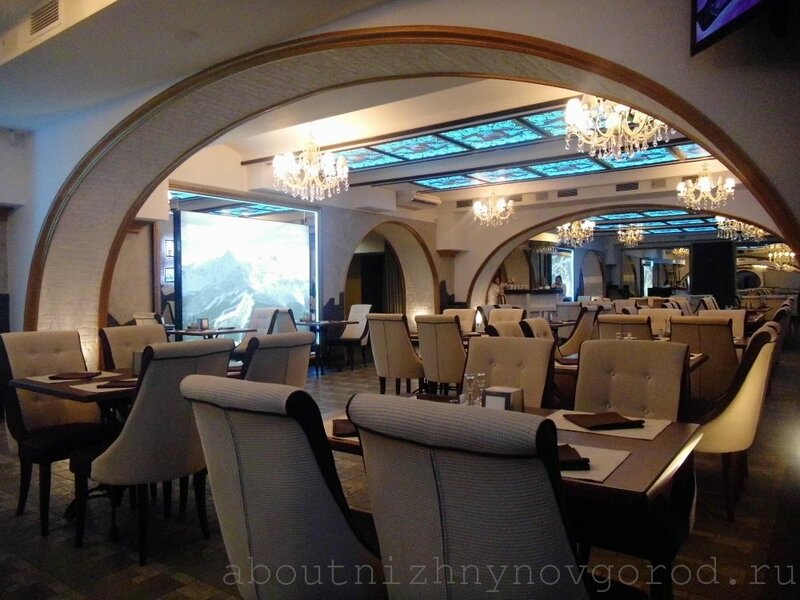 It’s nice that offer a cocktail without reminders – some places in Nizhny Novgorod (will not point fingers) are silent about such a nice bonus. I was choosing the restaurant for a long time that would mark his birthday. As a result, stopped at the “White Wolf” and it was a very good solution. I was looking for something in the center, on a decent food, interior, with adequate prices, and wanted some entertainment for example live music. The restaurant met all the requirements except the live music, but it turned out to be a plus – all easy communicated without being distracted and not shouting over other sounds. Wizards(kolduny). It’s the name of dish. The guests were delighted with the decor, the level of service and cooking. To my surprise it turned out quite cheaply – for 5 people, we took three hot, two salads, several kinds of hot and cold appetizers, a large fruit platter, a bottle of wine, a liter of juice, ice cream. The table was heaped with food, there was more dishes than the eyes can take in. All were full of food, but still left a lot. For all were paid less than 3 thousands. Especially liked the wizards (colduny) with meat and sauerkraut. I think here is not ashamed to invite reputable, demanding people. One gets the impression that the article is ordered :) Too bad it’s not so. Caviar overseas, eggplant. Oh, that is eggplant salad. White wolves are not found in the menu! Exclusively on the walls. Found only “sea wolf” – baked sea bass. But there is an interesting baked pancakes with stuffing, venison in various embodiments, rabbit and other Russian cuisine in the northern theme. Oh, ye, you can try the dove! 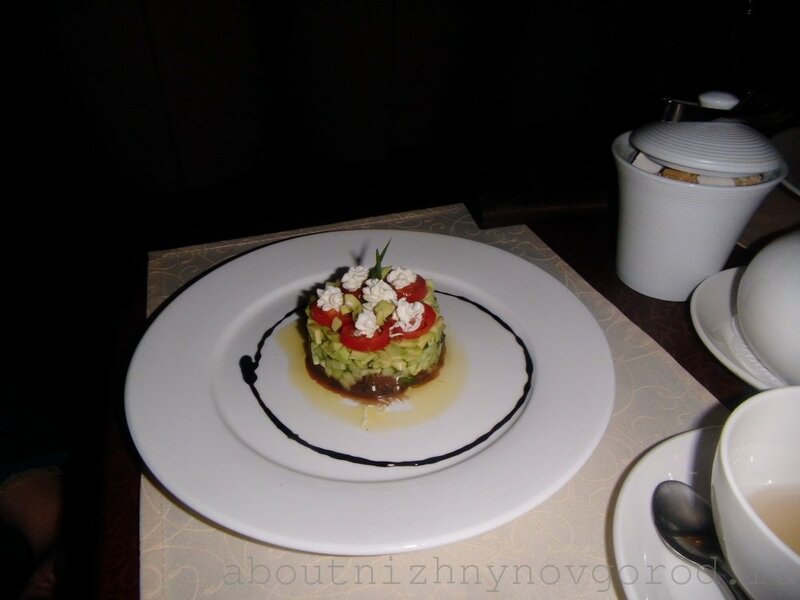 Prices per dish 100 (vinaigrette) to 1,800 rubles. 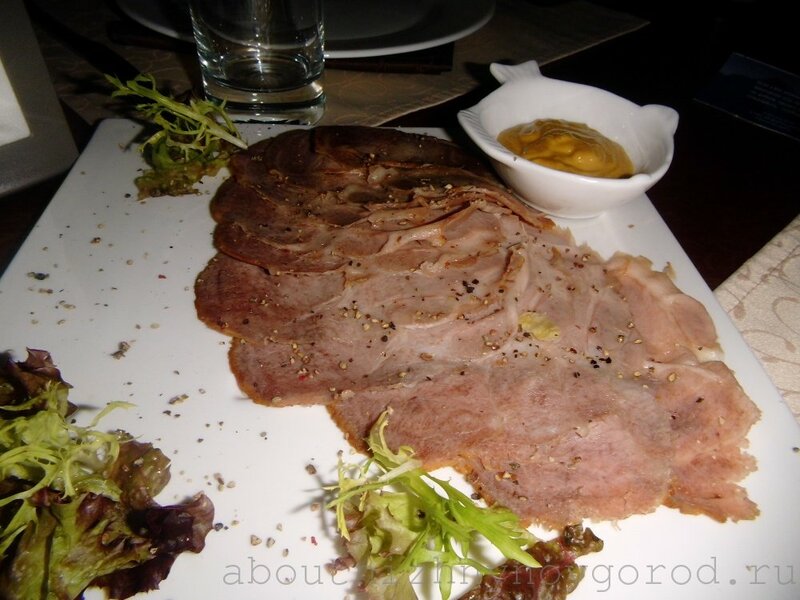 Our assessment (1-10): Service – 10, Cuisine – 8, Quality / price – 8, Surroundings – 9. 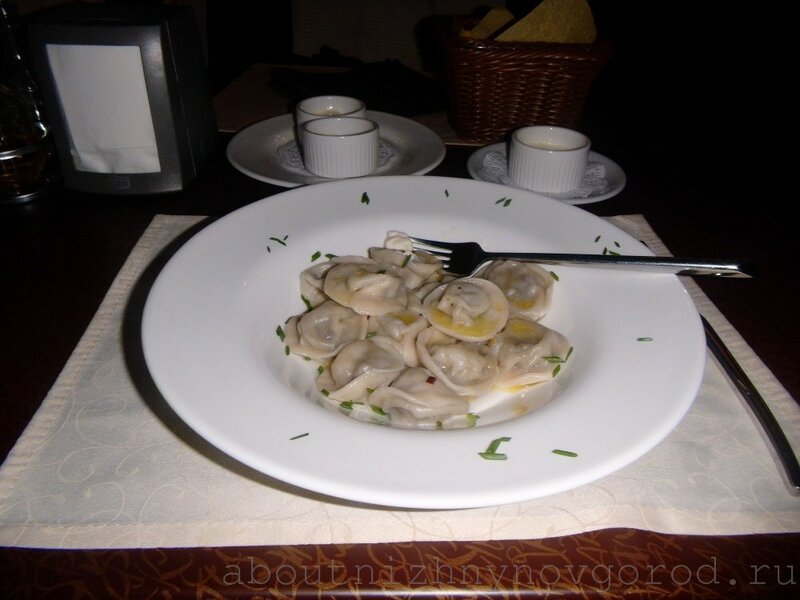 Not the cheapest business lunch as much in two versions (300 and 350 rubles). They don’t cook hodgepodge(Solyznka), so we can not assess. Wi-fi is not tested. Luxury toilet. Two halls: 150 and 40 people, interior of which you can measure by video (not ours, from restaurant). By car is better to drive on Varvarka turn to be behind the restaurant, where there is always a place to parking. If you use public transport, then use any to get to Minin or Freedom square. If the bus or trolley bus is on the street Varvarskaya, then come out on the same stop (Varvarskaya). This entry was posted in Restaurants and tagged in the center.